This Plasma/LCD TV display mount is designed to support standard flat panels between 23"-37" inches with a maximum weight of 100 lbs. (see further compatibility information below). It has been manufactured with solid heavy-gauge steel and powdered coated black for a smooth long lasting finish. The tilt range of this TV bracket offers viewing versatility, allowing the user to tilt the TV down 15 degrees. This tilt feature helps prevent glare, and offers wider viewing range options. 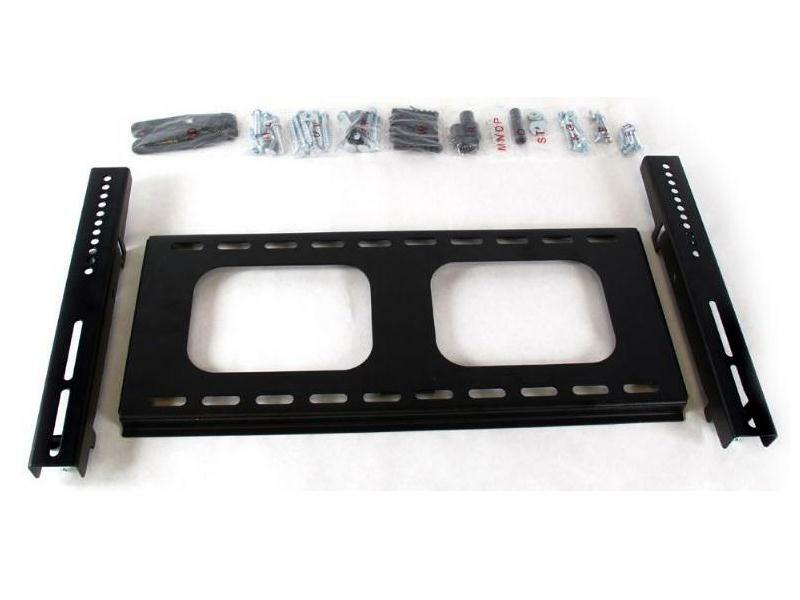 This bracket will fit standard 23"-37" inch Plasma/LCD TV displays, including: RCA, Sylvania, Toshiba, Sony, Hitachi, Insignia, Dynex, Samsung, LG, Mitsubishi, Panasonic, SunBrite TV, Apex, Sharp, KURO. Review our "fit guarantee" page for more details on how our models are no risk.